Naming a new baby can be an exciting if daunting task. Choosing a traditional Hebrew name for your daughter can foster a strong, warm connection to tradition, and girls' names in Hebrew also reflect many wonderful meanings. This list is a resource for the meanings behind the names and their connections to the Jewish faith. You're sure to find a name that's best for you and your family. Mazel tov! Hebrew Girls' Names Beginning With "A"
Adi: Adi means "jewel, ornament." Adiela: Adiela means "ornament of God." Adira: Adira means "mighty, strong." Adiva: Adiva means "gracious, pleasant." Adiya: Adiya means "God's treasure, God's ornament." Adva: Adva means "small wave, ripple." Aliza: Aliza means "joy, joyous one." Alona: Alona means "oak tree." Amit: Amit means "friendly, faithful." Anat: Anat means "to sing." Arella: Arella means "angel, messenger." Arnona: Arnona means "roaring stream." Aviela: Aviela means "God is my father." Avital: Avital was King David's wife. Avital means "father of dew," which refers to God as the sustainer of life. Aviya: Aviya means "God is my father." Ayala, Ayelet: Ayala, Ayelet mean "deer." Ayla: Ayla means "oak tree." Hebrew Girls' Names Beginning With "B"
Bat-Ami: Bat-Ami means "daughter of my people." Batsheva: Batsheva was King David's wife. Bat-Shir: Bat-Shir means "daughter of song." Bat-Tziyon: Bat-Tziyon means "daughter of Zion" or "daughter of excellence." Batya, Batia: Batya, Batia mean "daughter of God." Bat-Yam: Bat-Yam means "daughter of the sea." Behira: Behira means "light, clear, brilliant." Berura, Berurit: Berura, Berurit mean "pure, clean." Bilha: Bilha was a concubine of Jacob. Bina: Bina means "understanding, intelligence, wisdom." Hebrew Girls' Names Beginning With "C"
Carmela, Carmelit, Carmiela, Carmit, Carmiya: These names mean "vineyard, garden, orchard." Carniya: Carniya means "horn of God." Chagit: Chagit means "festive, celebration." Chagiya: Chagiya means "festival of God." Chana: Chana was the mother of Samuel in the Bible. Chana means "grace, gracious, merciful." Chava (Eva/Eve): Chava (Eva/Eve) was the first woman in the Bible. Chava means "life." Chaya: Chaya means "alive, living." Chemda: Chemda means "desirable, charming." Hebrew Girls' Names Beginning With "D"
Dalit: Dalit means "to draw water" or "branch." Dana: Dana means "to judge." Daniella, Danit, Danita: Daniella, Danit, Danita mean "God is my judge." Danya: Danya means "judgment of God." Dasi, Dassi: Dasi, Dassi are pet forms of Hadassa. Davida: Davida is the feminine form of David. David was a courageous hero who killed Goliath and a king of Israel in the Bible. Dena (Dinah): Dena (Dinah) was Jacob's daughter in the Bible. Dena means "judgment." Derora: Derora means "bird [swallow]" or "freedom, liberty." Devira: Devira means "sanctuary" and refers to a holy place in the Jerusalem Temple. Devorah (Deborah, Debra): Devorah (Deborah, Debra) was the prophetess and judge who led the revolt against the Canaanite king in the Bible. Devorah means "to speak kind words" or "swarm of bees." Dikla: Dikla means "palm [date] tree." Dorit: Dorit means "generation, of this era." Hebrew Girls' Names Beginning With "E"
Eden: Eden refers to the Garden of Eden in the Bible. Edna: Edna means "delight, desired, adored, voluptuous." Edya: Edya means "adornment of God." Efrat: Efrat was Caleb's wife in the Bible. Efrat means "honored, distinguished." Eila, Ayla: Eila, Ayla mean "oak tree." Eilona, Aylona: Eilona, Aylona mean "oak tree." Eitana (Etana): Eitana means "strong." Eliana: Eliana means "God has answered me." Eliezra: Eliezra means "my God is my salvation." Eliora: Eliora means "my God is my light." Eliraz: Eliraz means "my God is my secret." Elisheva: Elisheva was Aaron's wife in the Bible. Elisheva means "God is my oath." Emuna: Emuna means "faith, faithful." Erela: Erela means "angel, messenger." Ester (Esther): Ester (Esther) is the heroine in the Book of Esther, which recounts the Purim story. Esther saved the Jews from annihilation in Persia. Ezraela, Ezriela: Ezraela, Ezriela mean "God is my help." Hebrew Girls' Names Beginning With "F"
Few, if any, Hebrew names are usually transliterated to English with "F" as the first letter. Hebrew Girls' Names Beginning With "G"
Galya: Galya means "wave of God." Gamliela: Gamliela is the feminine form of Gamliel. Gamliel means "God is my reward." Ganya: Ganya means "garden of God." (Gan means “garden” as in "Garden of Eden" or "Gan Eden." Gavriella (Gabriella): Gavriella (Gabriella) means "God is my strength." Gayora: Gayora means "valley of light." Gershona: Gershona is the feminine form of Gershon. Gershon was the son of Levi in the Bible. Gevira: Gevira means "lady" or "queen." Gibora: Gibora means "strong, heroine." Gilada: Gilada means "[the] hill is [my] witness." It also means "joy forever." Gili: Gili means "my joy." Giva: Giva means "hill, high place." Hebrew Girls' Names Beginning With "H"
Hadar, Hadara, Hadarit: Hadar, Hadara, Hadarit mean "splendid, ornamented, beautiful." Hadas, Hadasa: Hadas, Hadasa was the Hebrew name of Esther, the heroine of the Purim story. Hadas means "myrtle." Hallel, Hallela: Hallel, Hallela mean "praise." Hannah: Hannah was the mother of Samuel in the Bible. Hannah means "grace, gracious, merciful." Harela: Harela means "mountain of God." Hedya: Hedya means "echo [voice] of God." Hertzela, Hertzelia: Hertzela, Hertzelia are the feminine forms of Hertzel. Hillela: Hillela is the feminine form of Hillel. Hillel means "praise." Hodiya: Hodiya means "praise God." Hebrew Girls' Names Beginning With "I"
Ilana, Ilanit: Ilana, Ilanit mean "tree." Itiya: Itiya means "God is with me." Hebrew Girls' Names Beginning With "J"
Note: The English letter J is often used in transliterating the Hebrew letter “yud,” which sounds like the English letter Y.
Yaakova (Jacoba): Yaakova (Jacoba) is the feminine form of Yaacov (Jacob). Yaacov (Jacob) was Isaac's son in the Bible. Yaacov means "supplant" or "protect." Yael (Jael): Yael (Jael) was a heroine in the Bible. Yael means "to ascend" and "mountain goat." Yaffa (Jaffa): Yaffa (Jaffa) means "beautiful." Yardena (Jordena, Jordana): Yardena (Jordena, Jordana) means "to flow down, descend." Nahar Yarden is the Jordan River. Yasmina (Jasmina), Yasmine (Jasmin): Yasmina (Jasmina), Yasmine (Jasmin) are Persian names for a flower in the olive family. Yedida (Jedida): Yedida (Jedida) means "friend." Yehudit (Judith): Yehudit (Judith) is a heroine whose story is recounted in the apocryphal book of Judith. Yehudit means "praise." Yemima (Jemima): Yemima (Jemima) means "dove." Yemina (Jemina): Yemina (Jemina) means "right hand" and signifies strength. Yitra (Jethra): Yitra (Jethra) is the feminine form of Yitro (Jethro). Yitra means "wealth, riches." Yoana (Joana, Joanna): Yoana (Joana, Joanna) means "God has answered." Yochana (Johanna): Yochana (Johanna) means "God is gracious." Yoela (Joela): Yoela (Joela) is the feminine form of Yoel (Joel). Yoela means "God is willing." Hebrew Girls' Names Beginning With "K"
Kefira: Kefira means "young lioness." Kelila: Kelila means "crown" or "laurels." Keren: Keren means "horn, ray [of sun]." Keshet: Keshet means "bow, rainbow." Kevuda: Kevuda means "precious" or "respected." Kinneret: Kinneret means "Sea of Galilee, Lake of Tiberias." Kitra, Kitrit: Kitra, Kitrit mean "crown" (Aramaic). Hebrew Girls' Names Beginning With "L"
Leah: Leah was Jacob's wife and the mother of six of the tribes of Israel; the name means "delicate" or "weary." Leila, Leilah, Lila: Leila, Leilah, Lila mean "night." Levana: Levana means "white, moon." Liat: Liat means "you are for me." Liba: Liba means "loved one" in Yiddish. Liora: Liora is the feminine form of the masculine Lior, meaning "my light." Liraz: Liraz means "my secret." Lital: Lital means "dew [rain] is mine." Hebrew Girls' Names Beginning With "M"
Maayan: Maayan means "spring, oasis." Marganit: Marganit is a plant with blue, gold, and red flowers that is common in Israel. Matana: Matana means "gift, present." Maya: Maya comes from the word mayim, meaning water. Maytal: Maytal means "dew water." Mehira: Mehira means "swift, energetic." Michal: Michal was King Saul's daughter in the Bible, and the name means "who is like God?" Miriam: Miriam was a prophetess, singer, dancer, and sister of Moses in the Bible, and the name means "rising water." Moriah: Moriah refers to a holy site in Israel, Mount Moriah, also known as the Temple Mount. Hebrew Girls' Names Beginning With "N"
Naomi: Naomi was the mother-in-law of Rut (Ruth) in the book of Ruth, and the name means "pleasantness." Natania: Natania means "gift of God." Neta: Neta means "a plant." Netana, Netania: Netana, Netania means "gift of God." Nili: Nili is an acronym of the Hebrew words "the glory of Israel will not lie" (1 Samuel 15:29). Nitzana: Nitzana means "bud [flower]." Noa: Noa was the fifth daughter of Zelophehad in the Bible, and the name means "pleasantness." Noya: Noya means "divine beauty." Nurit: Nurit is a common plant in Israel with red and yellow flowers; also called a "buttercup flower." Hebrew Girls' Names Beginning With "O"
Odelia, Odeleya: Odelia, Odeleya mean "I will praise God." Ofira: Ofira is the feminine form of the masculine Ofir, which was the location where gold originated in 1 Kings 9:28. It means "gold." Orit: Orit is a variant form of Ora and means "light." Orli: Orli (or Orly) means "light for me." Orna: Orna means "pine tree." Oshrat: Oshrat or Oshra derives from the Hebrew word osher, meaning "happiness." Hebrew Girls' Names Beginning With "P"
Pelia: Pelia means "wonder, a miracle." Penina: Penina was Elkanah's wife in the Bible. Penina means "pearl." Peri: Peri means “fruit” in Hebrew. Puah: From the Hebrew for “to groan” or “cry out.” Puah was the name of a midwife in Exodus 1:15. Hebrew Girls' Names Beginning With "Q"
Few, if any, Hebrew names are usually transliterated to English with the letter "Q" as the first letter. Hebrew Girls' Names Beginning With "R"
Raanana: Raanana means "fresh, luscious, beautiful." Rachel: Rachel was Jacob's wife in the Bible. Rachel means "ewe," a symbol of purity. Rani: Rani means "my song." Ranit: Ranit means "song, joy." Ranya, Rania: Ranya, Rania mean "song of God." Ravital, Revital: Ravital, Revital mean "abundance of dew." Raziel, Raziela: Raziel, Raziela mean "my secret is God." Refaela: Refaela means "God has healed." Renana: Renana means "joy" or "song." Reuvena: Reuvena is a feminine form of Reuven. Reviv, Reviva: Reviv, Reviva mean "dew" or "rain." Rina, Rinat: Rina, Rinat mean "joy." Rivka (Rebecca): Rivka (Rebecca) was Isaac's wife in the Bible. Rivka means "to tie, bind." Roma, Romema: Roma, Romema mean "heights, lofty, exalted." Roniya, Roniel: Roniya, Roniel mean "joy of God." Rotem: Rotem is a common plant in southern Israel. Rut (Ruth): Rut (Ruth) was a righteous convert in the Bible. Hebrew Girls' Names Beginning With "S"
Sapir, Sapira, Sapirit: Sapir, Sapira, Sapirit mean "sapphire." Sara, Sarah: Sarah was Abraham's wife in the Bible. Sara means "noble, princess." Sarai: Sarai was the original name for Sarah in the Bible. Sarida: Sarida means "refugee, leftover." Shamira: Shamira means "guard, protector." Shani: Shani means "scarlet color." Shaula: Shaula is the feminine form of Shaul (Saul). Shaul (Saul) was a king of Israel. Sheliya: Sheliya means "God is mine" or "mine is God's." Shifra: Shifra was the midwife in the Bible who disobeyed Pharaoh's orders to kill Jewish babies. Shirel: Shirel means "song of God." Shirli: Shirli means "I have song." Sivan: Sivan is the name of a Hebrew month. 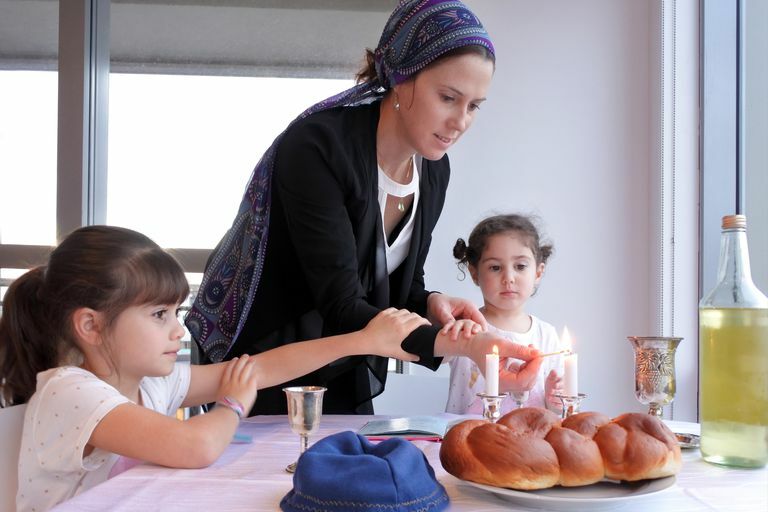 Hebrew Girls' Names Beginning With "T"
Tal, Tali: Tal, Tali mean "dew." Talia: Talia means "dew from God." Talma, Talmit: Talma, Talmit mean "mound, hill." Talmor: Talmor means "heaped" or "sprinkled with myrrh, perfumed." Tamar: Tamar was the daughter of King David in the Bible. Tamar means "palm tree." Techiya: Techiya means "life, revival." Tehila: Tehila means "praise, song of praise." Tehora: Tehora means "pure clean." Temima: Temima means "whole, honest." Teruma: Teruma means "offering, gift." Tifara, Tiferet: Tifara, Tiferet mean "beauty" or "glory." Timna: Timna is a place in southern Israel. Tirza: Tirza means "cypress tree." Tzipora: Tzipora was the wife of Moses in the Bible. Tzipora means "bird." Tzofiya: Tzofiya means "watcher, guardian, scout." Tzviya: Tzviya means "deer, gazelle." Hebrew Girls' Names Beginning With "U," "V," "W," and "X"
Few, if any, Hebrew names are usually transliterated to English with "U," "V," "W," or "X" as the first letter. Hebrew Girls' Names Beginning With "Y"
Yaakova: Yaakova is the feminine form of Yaacov (Jacob). Jacob was Isaac's son in the Bible. Yaacov means to "supplant" or "protect." Yael: Yael (Jael) was a heroine in the Bible. Yael means "to ascend" and "mountain goat." Yaffa, Yafit: Yaffa, Yafit mean "beautiful." Yakira: Yakira means "valuable, precious." Yam, Yama, Yamit: Yam, Yama, Yamit mean "sea." Yardena (Jordana): Yardena (Jordena, Jordana) means "to flow down, descend." Nahar Yarden is the Jordan River. Yechiela: Yechiela means "may God live." Yehudit (Judith): Yehudit (Judith) was a heroine in the deuterocanonical book of Judith. Yemina: Yemina (Jemina) means "right hand" and signifies strength. Yisraela: Yisraela is the feminine form of Yisrael (Israel). Yitra: Yitra (Jethra) is the feminine form of Yitro (Jethro). Yitra means "wealth, riches." Yocheved: Yocheved was the mother of Moses in the Bible. Yocheved means "glory of God." Hebrew Girls' Names Beginning With "Z"
Zahara, Zehari. Zeharit: Zahara, Zehari, Zeharit mean "to shine, brightness." Zahava, Zahavit: Zahava, Zahavit mean "gold." Zemira: Zemira means "song, melody." Zimra: Zimra means "song of praise." Ziva, Zivit: Ziva, Zivit mean "splendor." Zohar: Zohar means "light, brilliance."